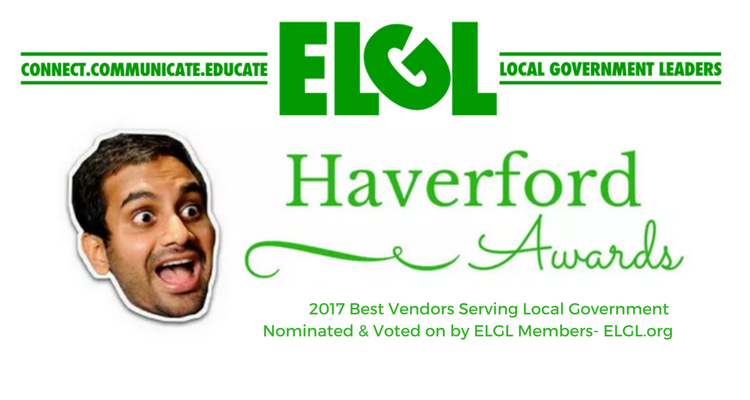 The award, affectionately named after everyone’s favorite local govie, Tom Haverford, is given to those companies who are committed to providing forward-thinking and innovative solutions for local governments. The evaluation consisted of three criteria: number of nominations received, comments submitted on behalf of each company, and input from the ELGL Evaluation Team. In the last few months, ViewPoint has partnered with ELGL on multiple different opportunities from podcasts, to articles, to sponsoring their annual conference. We’re proud to stand alongside an organization that is reimagining how local government works. Read more about our time at the annual conference, #ELGL17, and why we are investing in the future of this organization. ELGL supports local government leaders “with the mission of connecting, communicating, and educating about local government topics.” With 6 growing regional networks across the country, ELGL is a leading professional network for local government professionals. In addition to educational resources, ELGL helps keep government leaders connected. They sponsor events across the country year-round, and provide access to job listings and boards for professionals looking for new career opportunities. ELGL is helping lead the way for local government innovators. Visit their website for more information on joining the ELGL community.